This time we play Uno. This will be a competition, which will have several phases. 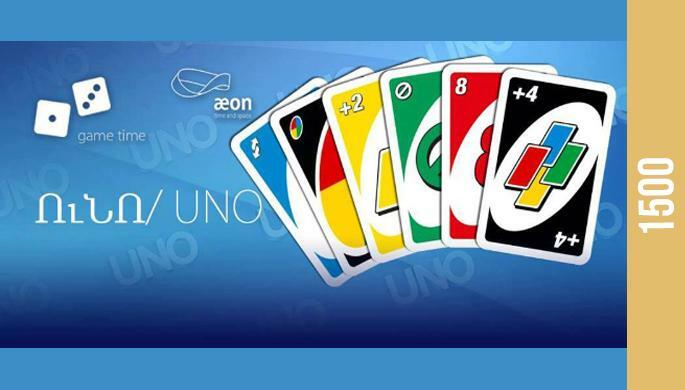 The winner will get a special prize from AEON. Entrance is 1500 AMD. (including tea, coffee and sweets).